Mesocortical pathway outlined in blue. one of the main dopamine pathways of the brain, the mesocortical pathway runs from the ventral tegmental area to the cerebral cortex. 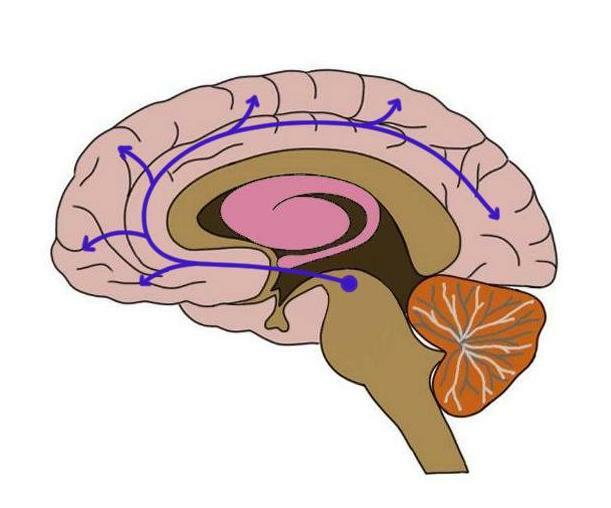 It forms extensive connections with the frontal lobes, and is thought to be important to a wide range of functions, such as motivation, emotion, and executive functions.